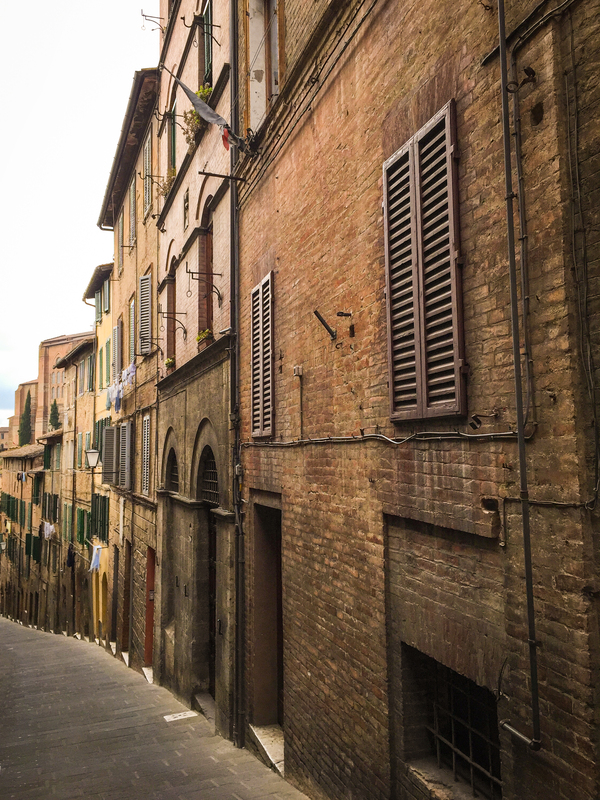 Siena was the nearest city, and I ended up going there a few times, sometimes to spend the day visiting the city, and sometimes just passing through. 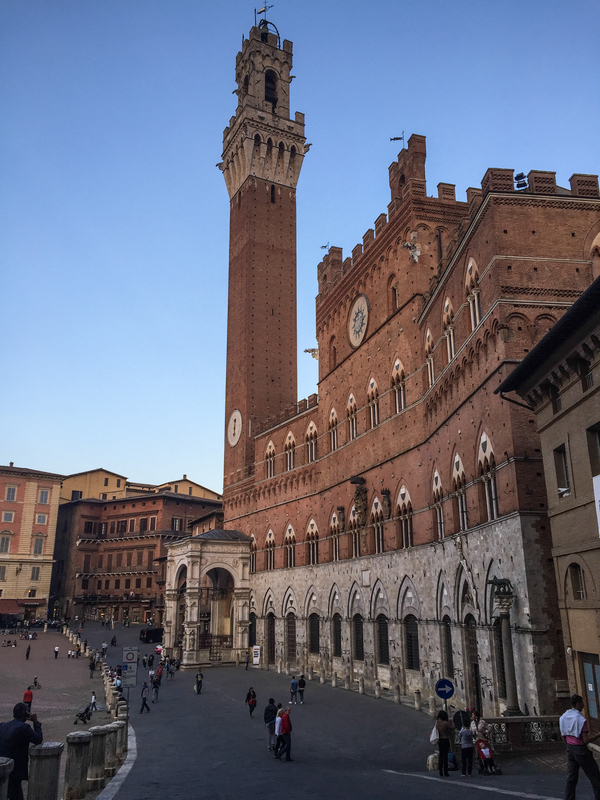 I felt like I got to know the city a little bit, and I liked Siena a lot. 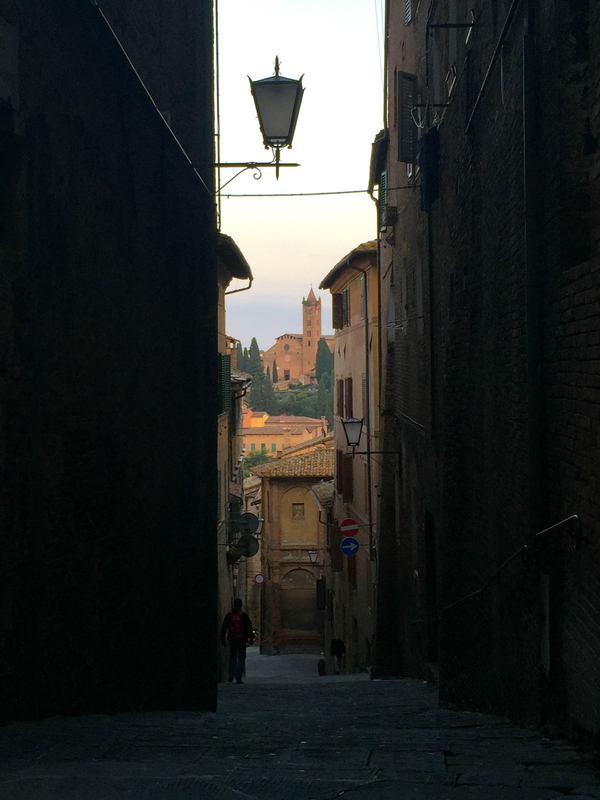 It was beautiful and interesting, and it felt welcoming to visitors but not over-run and touristy like Florence – it felt like a real city where people live their own lives. We had a heavenly lunch of pasta and vegetables and wine at a snazzy restaurant, the name of which I’ve sadly forgotten. Spent some time just wandering around and looking, which was lovely and relaxing after several days of following itineraries. I think that wandering aimlessly around city streets almost always makes me contented, it’s one of my favorite things to do when I visit new places, and one of my favorite indulgent time-wasting activities when I’m at home, if I can sneak away from my responsibilities for an afternoon. 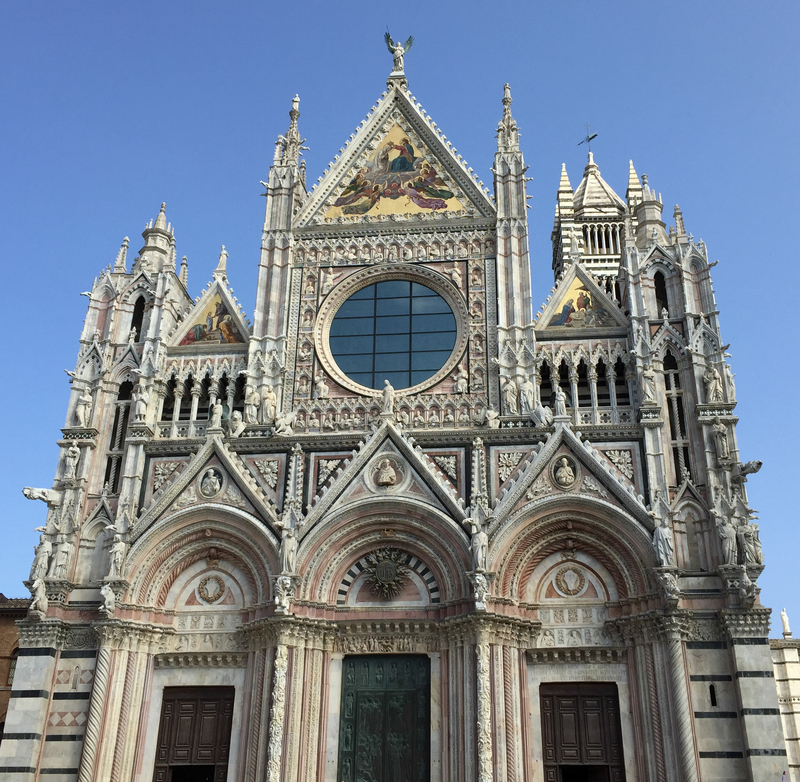 And we visited the Duomo di Siena! It’s another great massive, elaborate church, this time entirely in black and white! 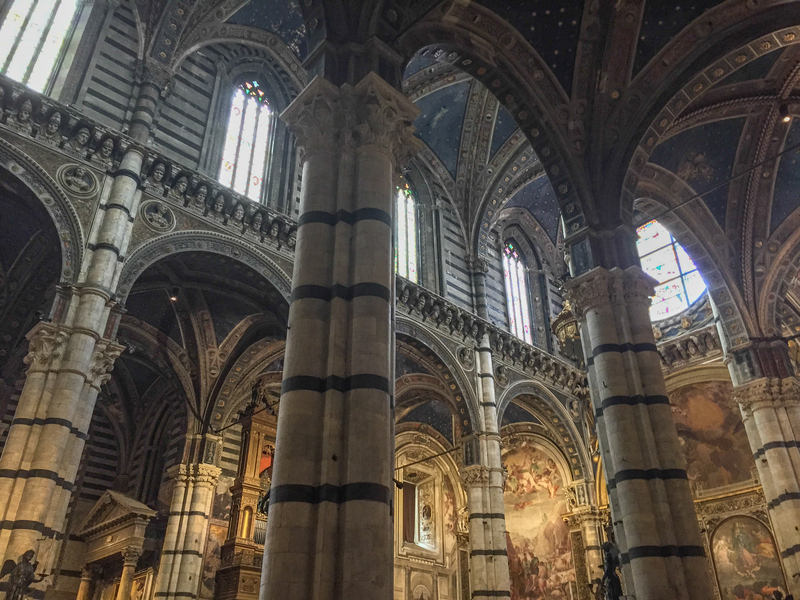 The Duomo in Florence was white and pink and green, because those were the city colors of Florence; the city colors of Siena were black and white, so everything in there is all stripes and patterns in black and white, fabulously graphic and wildly busy. 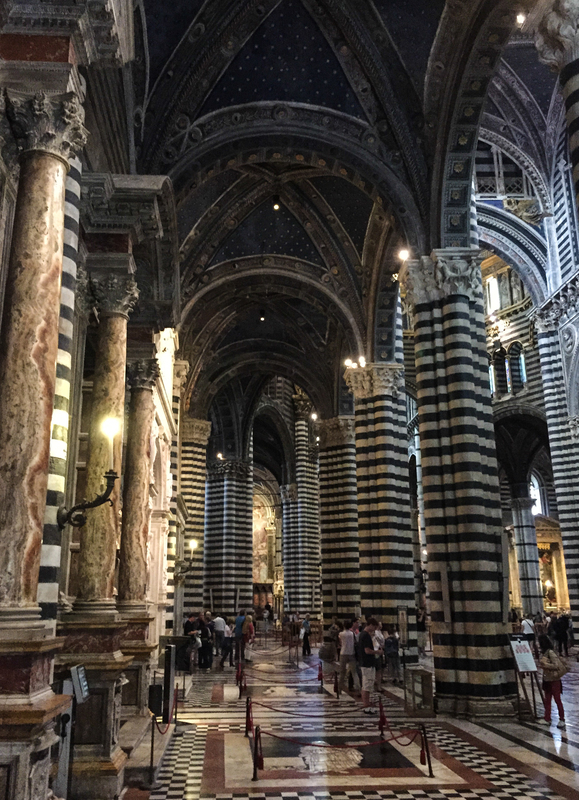 The exterior has a lot going on, but the interior is the really spectacular part. 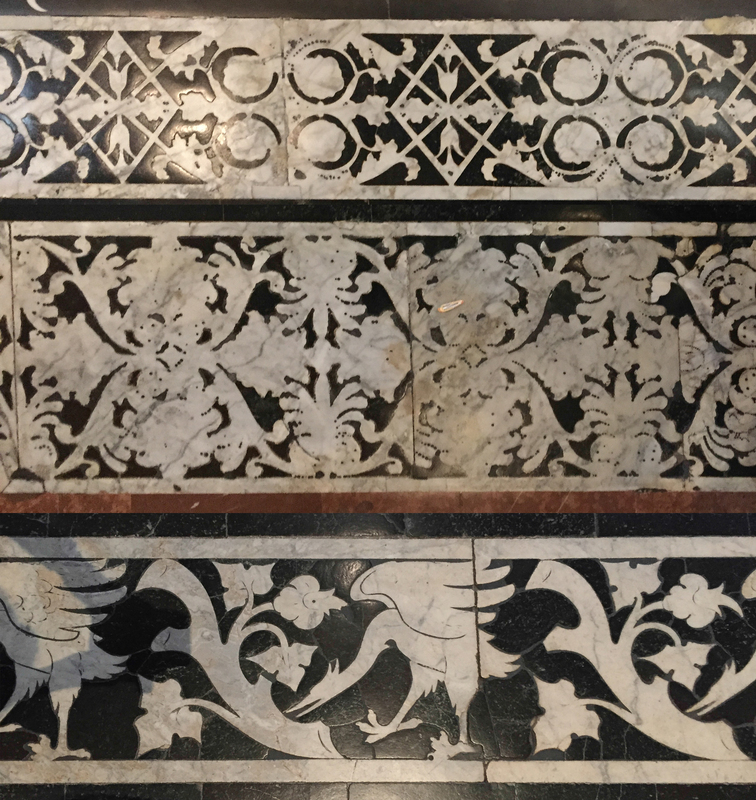 We were lucky to be there as they were finishing some work on the floors, so we got to see huge sections of intricate inlaid mosaics on the floor, depicting biblical scenes, that are usually covered up for protection.